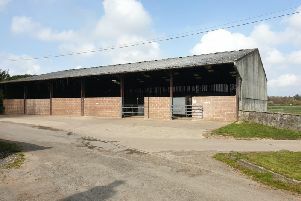 Thieves struck at two sites in Northumberland earlier this week, stealing a quantity of equestrian equipment. A burglary took place at stables near Acklington overnight on Tuesday in which seven head collars, a pair of grey Hunter wellingtons, six lead ropes, two bags of horse feed and a bucket and picker were stolen. An allotment near Ashington was broken into on the same night and a black leather harness and collar, and a quantity of equine equipment including feed was stolen. Meanwhile, five saddles, which are believed to have been stolen, have been found near Morpeth. There is one brown leather saddle, two black leather saddles, one black Maxam leather saddle and one black Maxam leather saddle with blanket. If they belong to you, contact 101 quoting log number 955 25/3/15.